December | 2014 | Lamb on a bike! – Were you ever afraid? – We were never NOT afraid! My Grandpa was born in 1922 and joined the Navy in 1940. Shamefully, I don’t know that much about his naval career, although I know he was involved in the Arctic Convoys, that he was on HMS Saumarez when it sunk the last major Japanese battleship and he was in Singapore for the liberation at the end of the war. 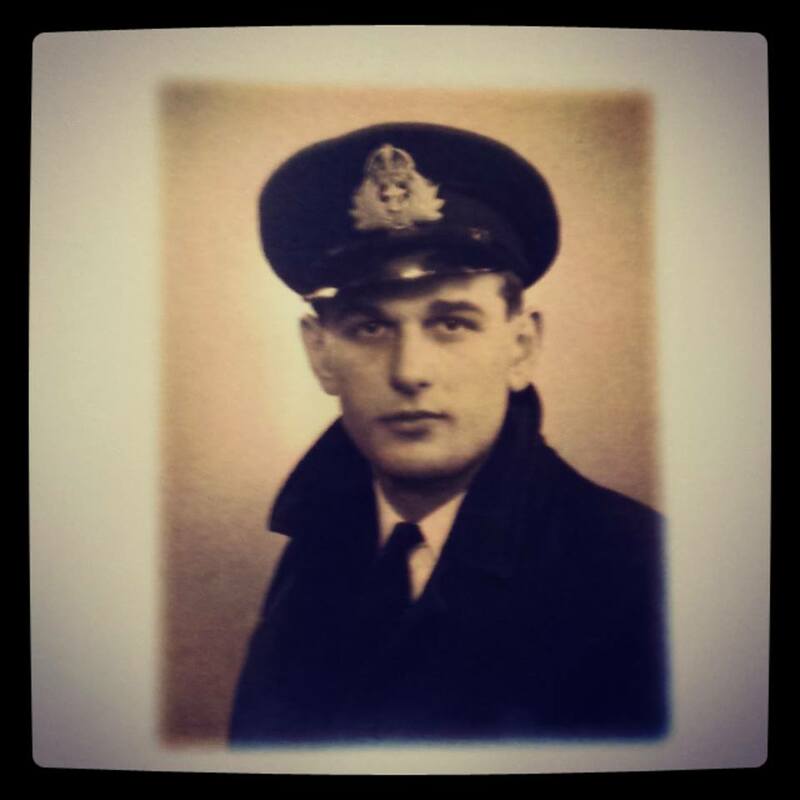 Last year my Grandpa was contacted by the Russian Federation, who wanted to award medals – the Ushakov Medal – to Allied servicemen who served in Arctic Convoys. Grandpa said that they’d better hurry up handing out the medals, as he was already 91 years old. Unfortunately Grandpa died in January 2014 after a short illness – remarkable, given he’d had Type 1 Diabetes for more than 60 years! Saying goodbye was sad but we took consolation in remembering his incredibly full life. Last week, the ceremony to award the medals took place, and I travelled to Exeter to accompany my Grandma to receive the medal. Around 50 veterans or their representatives were present, from all over Devon. Other hangers on (such as me) stood at the back of the room. Everyone looked very smart and it was easy to tell that these had been Navy men! After the national anthems, and words from the head of Devon County Council and a representative from the Russian Embassy, the medals were handed out. The Counsellor of the Russian Embassy presented each one in turn, shook hands and said a heartfelt thanks. 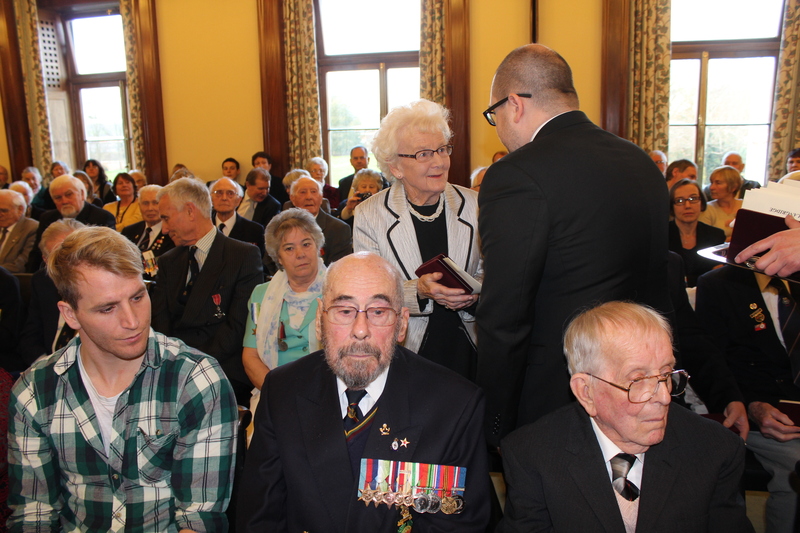 One veteran had learnt a few words in Russian, but most expressed their thanks in English as they received their medals. When it came to Grandma, the announcer read out “Mr Peter Lamb” and Grandma stood and explained that Grandpa had died earlier this year but had been very pleased to hear that he would be awarded this medal. Afterwards we had tea, and Grandma was interviewed by the BBC while I chatted to veterans and Navy representatives. The medal has an image of Ushakov (an admiral, as famous in Russia as Nelson is here in the UK) on the front and an anchor on the reverse, and a blue silk ribbon. It is very heavy, and came in a velvet case, with a booklet signed by Vladimir Putin. It also came with a translation of the booklet, information about Ushakov and a letter from the Russian Ambassador. Grandma later showed me Grandpa’s other medals – I’d never seen them before! For a man from Hull, the war offered untold travel and post-war he was able to access training and opportunities that he wouldn’t have been able to otherwise. He trained as a doctor and worked as a GP in Exeter, where he lived with his wife and three children. He retired from medicine before I was born, and focused time on making violins, travelling the world and carrying out the orders of his Siamese cat. I can’t imagine what the Arctic Convoys were like. Knowing that chance and a change of shifts stood between you or your shipmate being killed on the bridge. Your beard freezing and your mind racing. Wondering if you’d make it there, and then how you’d make it back. Whatever your thoughts on war, or the political motivations behind the convoys, the men who undertook these missions were heroes. The 2nd race in the 10k Winter Series was in Regent’s Park (the first in the series, last month, was in Greenwich). It was a cold morning but a brisk walk from Baker Street stopped me feeling too chilly – although I then cooled down waiting in the queue for the loos. There were a lot of runners and I couldn’t spot my brother, who was meant to be there. I was about 2/3 of the way back at the starting line and didn’t hear the gun go, so only realised the race had started when everyone began shuffling forward. It took nearly a minute to cross the line! The course was congested as the path is narrow in places, which meant assessing every runner in front to decide if they were faster or slower and whether to overtake. I was going for a fairly conservative pace, hoping to keep it consistent throughout. I spent the first lap feeling disorientated as I’ve only been inside Regent’s Park for a music festival and softball matches. The 2nd lap was uneventful. 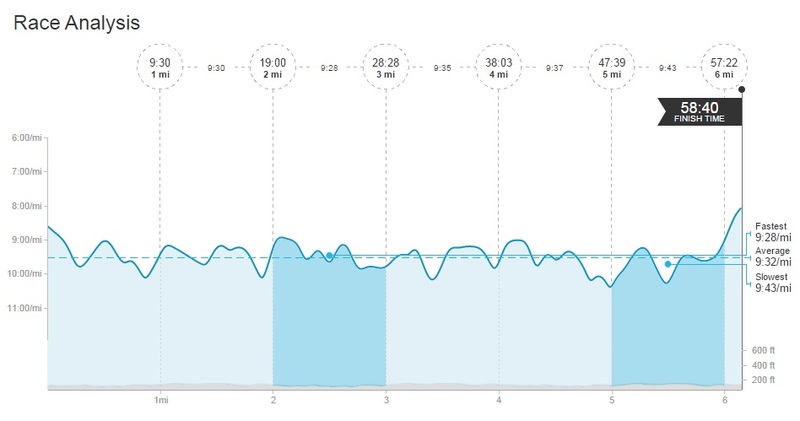 On the 3rd lap I realised that I had slowed down but that if I kept going at my current speed I should get a PB. I couldn’t quite coax my legs into going any faster – a mental thing maybe. As I turned the final corner and saw I had 300 metres to go I picked up the pace a little. I’d done some calculations and worked out that if my brother was racing he’d be crossing the finish line shortly after I started my 3rd lap (! ), and I was tempted to look behind me at this point to see if I could see him. As I neared the finish line I saw him and his colleague cheering me – a really nice touch. My brother got a PB (by several minutes), and so did I! I was pleased as I’ve felt like it was hanging over me. I knew I could run faster than the times I’d previously done, and now I feel like I can move on from here. I haven’t achieved my 10k goal for 2014, but at least I’ve improved a little.